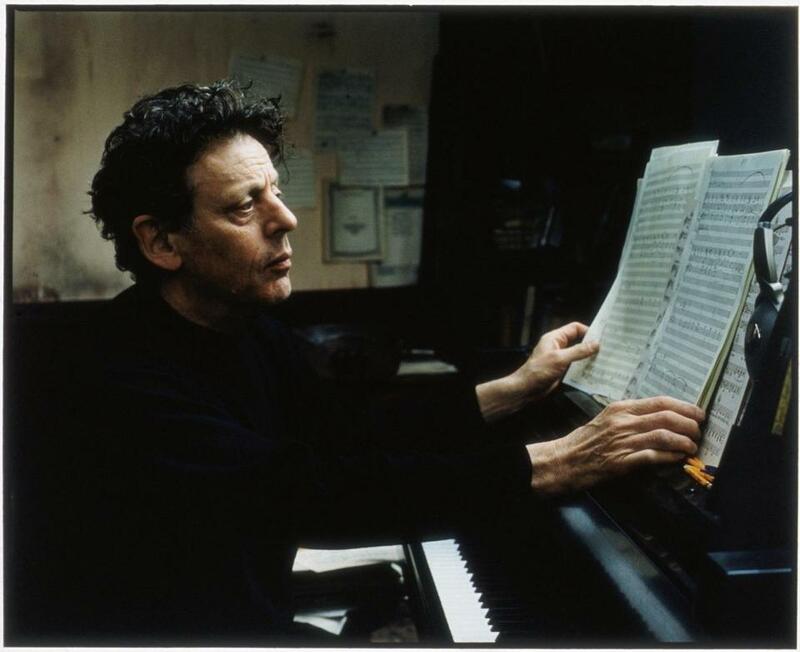 SALEM — The timing of the premiere of Philip Glass’s Partita No. 2 for Solo Cello was crucial, said Orange Mountain Music’s Richard Guérin in a pre-concert talk Thursday evening. “I put in the liner notes that it premiered in Salem, Massachusetts, on June 22, 2017, so I’m really hoping that it happens.” Glass laughed, as did the sold-out crowd that had gathered in the atrium of the Peabody Essex Museum to hear cellist Matt Haimovitz bring the piece to life before the midnight release of its recording. But perhaps there was another reason why it was perfect to premiere this piece in the Witch City. There’s something mystical about the way Glass described his creative process, and not in the sense of the gauzy scarves and crystal balls for sale up and down the street outside. In the same pre-concert talk, the composer related that he had no concrete memories of writing his pieces. “All those experiences tend to happen in a different language,” he said. Shaking off the constraints of lexicon and grammar, composition can be seen as another face of speaking in tongues. Glass sat down at the piano and plunged into his 1979 piece “Mad Rush,” and it became immediately obvious why the cavernous atrium had been chosen as venue. The sound of the piano seemed to echo from all around. The piece is of indeterminate length, and Glass had no music in front of him. As it rolled and flowed through its repeating patterns, the music invited a trance state, a meditation on cycles: day and night, weather patterns, generations, inhalations and exhalations. He played the piece for about 15 minutes, which felt longer. That wasn’t a bad thing. Haimovitz then joined Glass on stage for selections for piano and cello from “Tissues” and “The Screens,” music, respectively, for the film “Naqoyqatsi” and the Jean Genet play. Whether it was floating in an ethereal, vibrato-less high register or buzzing and swerving like a swarm of hornets, Haimovitz’s sound had a remarkable resonance, feeling almost tangible. “The Orchard,” from “The Screens,” was captivating and tense, lingering on tritones. The new Partita was not in fact a recent piece. It had been composed “five or six years ago,” said Glass from the stage, and then he had found it in his library. A passage of moaning double stops and bluesy inflections led into recognizably Glassian repeating figures, and each subsequent movement reflected that signature sound through different lenses: here slow and ponderous, here wiry and mercurial. This was not music of cycles. It followed a dreaming path, running through established patterns but just as easily venturing outside of them. Also like a dream, the music had some sections that faded from memory as quickly as they happened, but I never lost my curiosity to find out what came next. As an encore, Haimovitz played Glass’s overture to Bach’s first cello suite in G major and then the suite’s prelude. Glass gave the audience a wry comment, wondering how on earth one follows Bach, and then launched into one of his own etudes, without pretense. Zoë Madonna can be reached at zoe.madonna@globe.com. Follow her on Twitter @knitandlisten. Madonna's work is supported by the Rubin Institute for Music Criticism, San Francisco Conservatory of Music, and Ann and Gordon Getty Foundation.